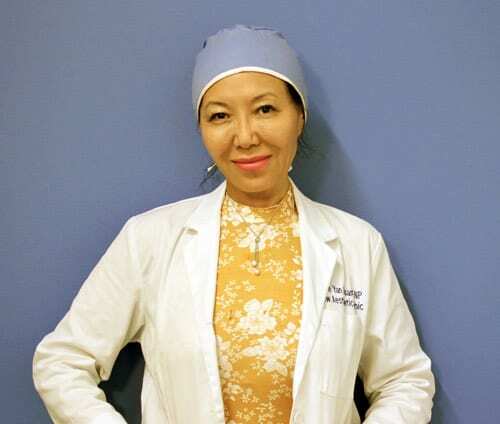 Yvonne Yan Duan | FNP and our staff at Renew Aesthetic clinic are proud to be providing an effective cutting edge cellulite treatment to our patients in Beaverton and Portland. Come see us for a complimentary consultation to become informed, ask questions, and find out if Cellfina would be the right medspa treatment for your aesthetic goals. Call us for more information, or to make an appointment (971) 470-3186. Cellfina is the only FDA-cleared, minimally invasive procedure clinically proven to treat the primary structural cause of cellulite for at least three years. The Cellfina® System treats the primary structural cause of cellulite — the connective bands woven throughout fat in the thighs and buttocks. These tight bands pull down the skin, creating the puckering you see on the surface of the skin. The Cellfina treatment meticulously removes these connective bands where dimples appear and works to build a smooth even surface on the skin. Similar to a rubber band under tension, once released, the treated skin bounces back to smooth itself out in as little as three days. Cellfina is a straightforward solution to cellulite that combines a proven approach with innovative technology for an effective treatment that produces precise, long-lasting results in a single office visit. With Cellfina the results last. How soon does cellfina reduce the appearance of cellulite? Patients typically notice significant improvement at three months and those results are still evident three years after treatment. In the FDA-approved pivotal study, 93 percent of Cellfina patients were satisfied after three years, surpassing satisfaction rates of other leading cellulite treatments. Unlike topical ointments or other alternative treatments and fads, Cellfina® offers a Smooth that Lasts®. What to expect during/after a Cellfina treatment in Portland? The in-office treatment takes less than an hour, depending on the number of dimples being treated and the patient’s individual needs. It is a cellulite solution that doesn’t involve general anesthesia, so afterward patients are able to go about their day. How long does Cellfina Cellulite treatment last? Cellfina is unique because it treats the primary structural cause, it’s a minimally invasive procedure and its effects last at least three years — the longest FDA clearance for a cellulite treatment. The result is a smoother and healthier look that gives patients the confidence to wear shorts, yoga pants or a bathing suit again. Important Safety Information for Cellfina® The Cellfina® System is intended for long-term improvement in the appearance of cellulite in the buttocks and thigh areas of adult females. Safety and effectiveness in other anatomical areas have not been established. The most common side effects reported were soreness, tenderness, and bruising. Cellfina® Overview (short version – without interviews) from Cellfina® on Vimeo.